Toronto punks The Flatliners are kicking off a Canadian tour to promote their new album, Dead Language. The record drops on September 17th, and we spoke with frontman Chris Cresswell in advance of their September 6 show at Ottawa’s Mavericks Bar. It has been three years since the punk quartet has released an album. With this in mind, Cresswell thanked fans for sticking it out. 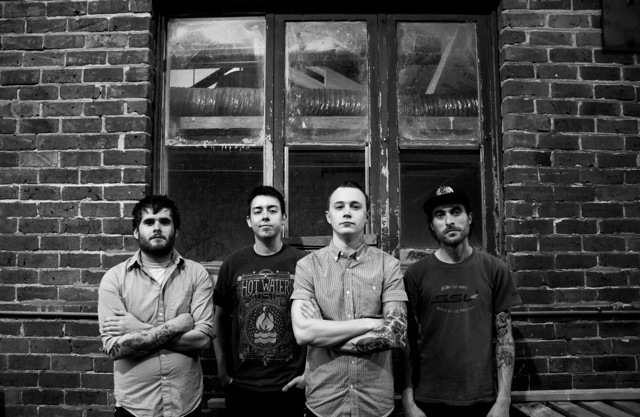 The Flatliners have been all over the world since their last record, with stops across Australia, Europe and Asia. But don’t think you’re getting special treatment; this is not the first time they have played the songs from the upcoming album to fans. The album was written mostly while on the road, with each member contributing bits and ideas. Cresswell and the rest of the band are excited to have new songs be the focus of the tour. The band plans to release more of the songs that got cut from the album as splits, but they’re not spilling the beans on who they will be working with yet. Chris and the rest of Flatliners are working hard on playing and writing music. With over an album’s worth of new material and a full schedule for the fall, they show no signs of letting up. Don’t forget to check them out in Ottawa on September 6th, and at their album release show in Toronto at the Horseshoe Tavern on the 19th.